Free preview pack of the book "Singing Games for Parachute Play." Exciting new games for children of all ages. 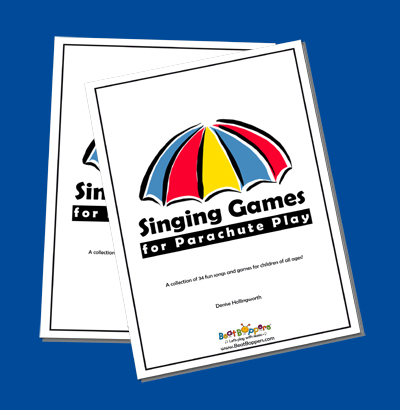 This pack is a free preview from the e-book "Singing Games for Parachute Play." Free mp3 audio demo files are available for a limited time when you purchase the e-book. Visit us at www.KidsParachuteGames.com for more info.